I have previously used the AAT in version 5 with success. I recently moved to a new institution and was going to continue running the AAT (so now, on a new computer). I am running version 5 on a dell computer running windows 7 pro with a logitech attack 3 joystick. The problem is: During practice trials that should have error feedback there is a white box if the joystick continuously moves in the wrong direction. If I stop or hesitate in the wrong direction the error message comes up, but if the movement is smooth there is a gray box but the words "ERROR" do not appear. 7) Finally, out of frustration I downloaded a trial version of 4 and VOILA! It works. Only thing is, I don't have a license for inquisit 4, my license is for 5. Is anyone else experiencing this error and if so, how can I fix it? I don't even care if the feedback if different (like a red box, or even an auditory computer "DING"), it is just useful to have the training trials so participants can learn the "portrait" "landscape" distinction. 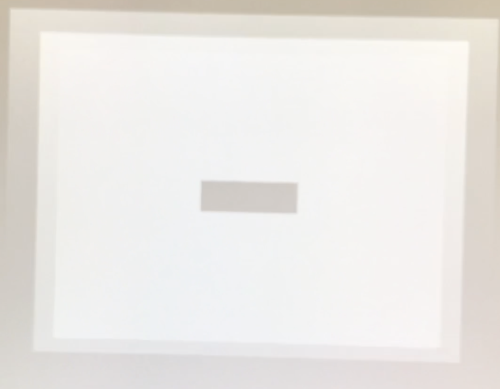 I took a video while it happens and can share - I have attached a screen shot of the blank gray square below. Thank you so much for your quick and helpful reply - the stupid amount of time I spent on this and all I needed to do was post my cry for help in this very helpful forum.